Specifically developed for foodservice preparation. 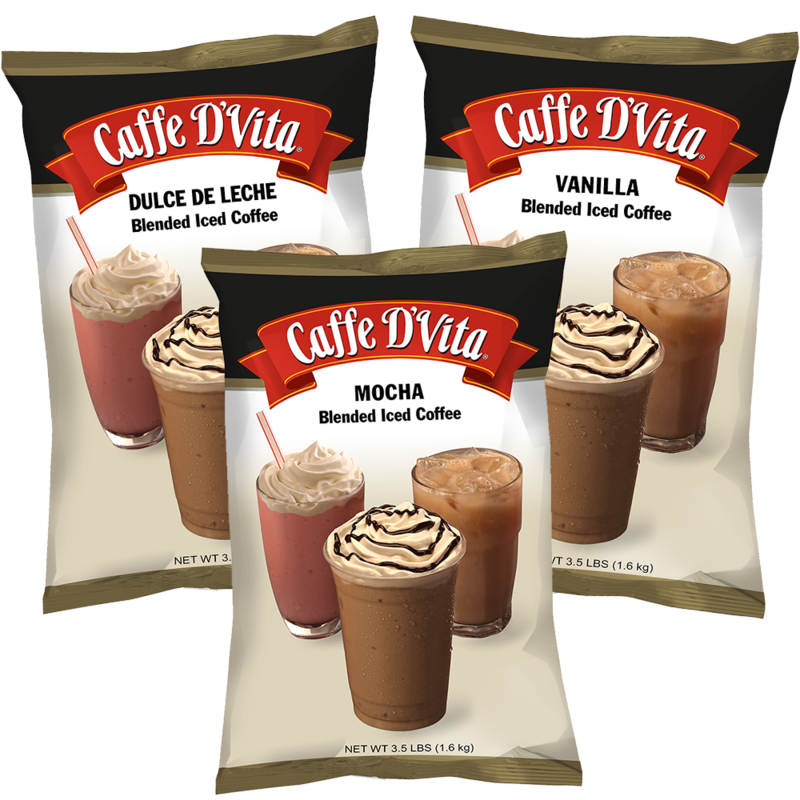 Save time by just adding water, Caffe D’Vita Blended Iced Coffee mix and ice to create a perfect frappe every time. Keep up with your customer rush every time. No need for expensive creamer, milk, syrups or flavorings – it’s all in the mix!